Flynn Ryder from Disney's Tangled in extraordinary detail! He comes with a matching hand-numbered certificate of verification and a story card! Numbered limited edition of 1,000 stone resin pieces. A perfect representation of Flynn Ryder's swashbuckling persona! 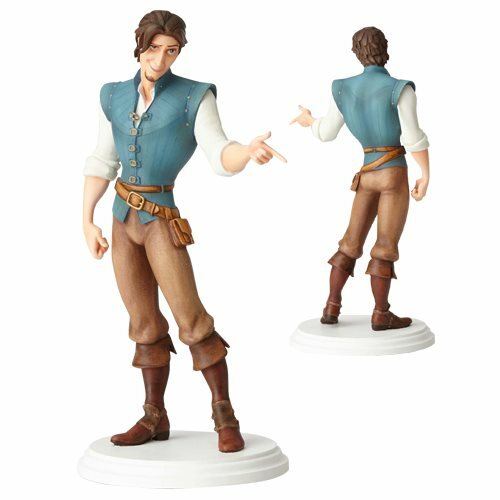 The Walt Disney Archives Collection Tangled Flynn Rider Maquette Statue is a marvelous figurine that captures Eugene Fitzherbert (aka Flynn Ryder) from Disney's 50th animated feature film, Tangled, in extraordinary detail as seen in the original animator model for the film. A numbered limited edition of 1,000 hand-painted stone resin pieces, he comes with a matching hand-numbered certificate of verification and a story card. The thief turned hero measures approximately 10 3/4-inches tall. This limited edition, hand-painted sculpture is derived from an original animation maquette. Production molds were made from a digital 3D scan of the animator model.